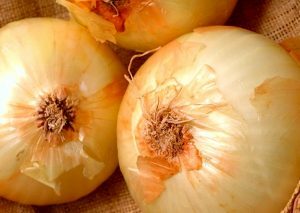 TC & N Taylor: New crop 2018 – Organic Onions. Slightly flat, globe-shaped bulbs are lighter in color than most long day varieties, but the bulbs are very firm with thin necks. Since it is an extra-early maturing variety, it can be planted in all the intermediate day areas, as well as the long day areas. It will store up to five months. With its tight, thin neck it is easy to cure. Highlander is less susceptible to botrytis and downy mildew, the two most common diseases in onions.